A University of Michigan study provides evidence that acupuncture affects the brain’s long-term ability to regulate pain. As reported in the Journal of NeuroImage, researchers at the UM Chronic Pain and Fatigue Research Center demonstrated that acupuncture increased the binding availability of mu-opoid receptors (MOR) in regions of the brain (amygdala, thalamus, cingulate, and insula) that process and dampen pain signals. Current thinking is that Opioid painkillers, such as morphine, codeine and other medications work by binding to these opioid receptors in the brain and spinal cord. Harris RE, Zubieta JK, Scott DJ, Napadow V, Gracely RH, and Clauw DJ. 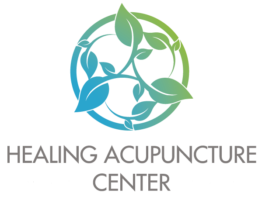 Traditional Chinese Acupuncture and Placebo (Sham) Acupuncture Are Differentiated by Their Effects on µ-Opioid Receptors (MORs). (2009) in press Neuroimage.